So here we are...it is almost mid August and everyone is gearing up for the new school year. For us, we have been trucking a long for a while now. We are year round homeschoolers, so we go throughout the year with lessons, taking breaks here and there to give little minds and this mama's mind a break. When August rolls around though, I usually find myself rotating out whatever curriculum we have finished and changing up whatever I don't feel is working for us anymore. As my kids grow and learn, I find that some things continue to work perfectly, while other things not so much. I love the freedom we have in homeschooling to be able to change things up as needed. Every child learns differently and at different speeds, so I keep that in mind as I teach my precious red heads. For this year, we have had a huge shift in what was working and what wasn't. I started this summer with a nudge or a feeling pushing me in a different direction. 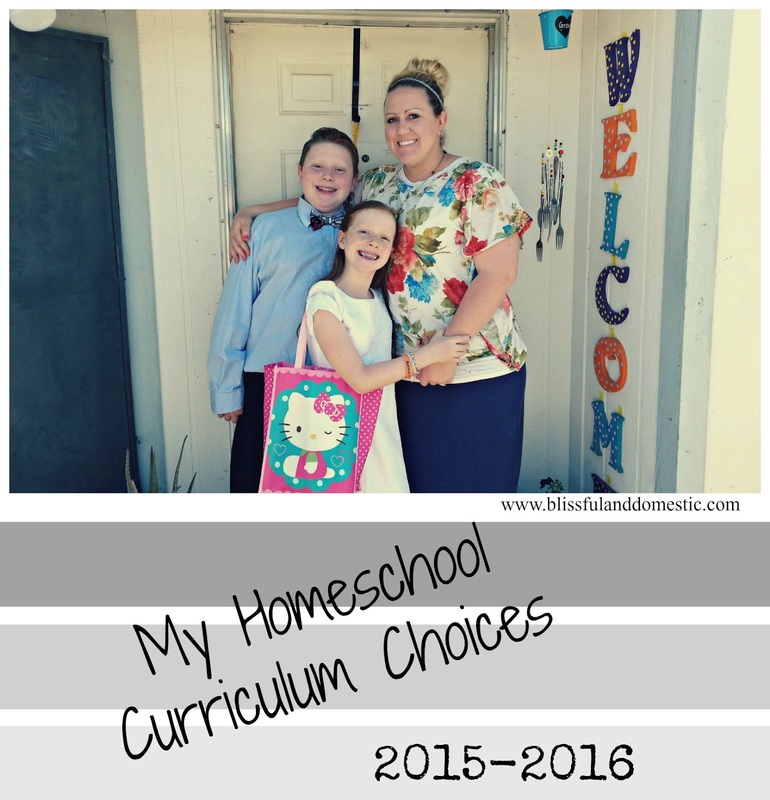 All summer I have been researching and studying to decide what changes I wanted to make in our homeschool. I took those ideas to the Lord, and let me tell you friends, He heard my fervent prayers. Over the past few weeks I have felt led and inspired to what my children need this year. One of the biggest changes though has not been in my curriculum choices, but in me. I have really learned this summer that God knows much more than I...I know I know...I feel like this is a lesson I am constantly learning. God has been stretching me the past few years to give up control. I am one who likes to have things orderly and everything in it's place, so to have the Lord tell me I needed to give up that control and let Him lead our homeschool was a challenge, but it is one I am thankful for. I know that the Lord knows my children's hearts far more than I do. He knows their weaknesses and their strengths. He knows their inner desires and what will help them learn and grow into beautiful Christ-loving Saints. Once I made the decision to completely hand over the reins to our homeschool, something amazing happened ladies....inspiration came and it was like our school year just folded out before me. I made a list of the things I wanted to teach the kids and went over it with hubby. We tweaked an idea here and there, but for the most part we were very excited for all that this new school year will mean for our kiddos. Below I have included what we will be using for our materials this year. I've included links to each of the items we are using. A lot of the items for this year are ebooks. I either read them on my laptop or on my tablet. Buying ebooks allowed me to keep costs down. I also do not have as many workbooks we are using this year. We are really focusing on hands on learning this year. I do have my ebooks to print out though when lessons are done and worksheets are needed. We also belong to a Homeschool co-op that meets twice a week. We are using the STEM science boos in co-op and will also be working on art, music, geography, etc with our co-op group as well. We are working on our multiplication facts still and memorizing them. We are also continuing our memorization of the US Presidents and are working on world geography and making countries throughout the world. How are you guys gearing up for your new school year? What Homeschool Questions do you want me to answer? I'm thinking of schooling year round. How do you schedule your breaks and for how long? Are they always scheduled breaks? I don't think a day here & there unscheduled would work for us. Love your blog! My homeschool plans came to me last week and I finally have a solid plan! ... We are in our first year : kindergarten, preschool and a one year old to juggle! ... So thankful for the Homeschool opportunity! My hubby and I have been desiring to homeschool to for a long time. My daughter is currently 4 years old and is very smart and social. I have no problem home schooling her full-time, however there is a great preschool across the street that I have enrolled her into part time. She will be going there 2 days a week and I will be homeschooling her the other 2 days, and giving her 1 day out of the week for more out door/unscheduled play. What sorts homeschooling products do you suggest for her?